Ceasefire is the dynamic alternative rock outfit comprised of Ray Alexander (vocals), Kamren Alexander (guitar) and Anthony Hainsworth (drums). While the band’s name may indicate a pause in action, the music is an expression of the human experience and calls for us all to take movement against injustice. Formed in 2011 in Orange County, CA, Ceasefire quickly gained attention for their incredible live performances packing venues throughout Southern California. In 2012, the OC Weekly Music Awards named the trio “Best Live Band”. 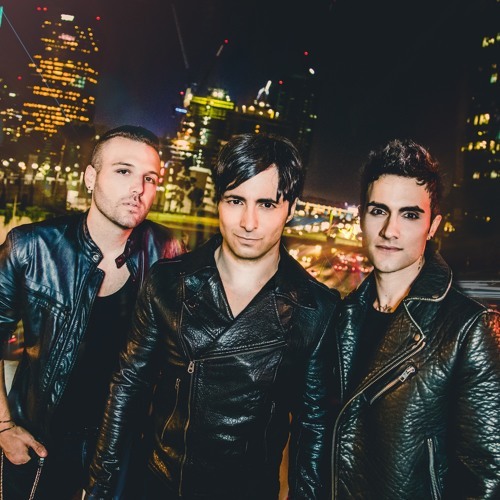 Their 2013 debut EP, garnered critical success with lead single "Wake Up" being added to rotation on KROQ's "Locals Only Show" and dominated the local airwaves by staying on the station for a record breaking 21 weeks in the top 5 most requested songs. Ceasefire is set to release their most ambitious work to date, a six song EP entitled “Gravity” influenced by psychedelic classic rock and 80s pop and dance music. The result is a unique blend of ambient synths, clashing melodic guitar riffs and warm vocals; a perfect blend of organic sounds with modern electronic textures. Thematically the EP touches upon clinging to love and hope even in the harsh reality of the world we live in today, “we were all overwhelmed by our nation's political direction and felt that our society was going backwards instead of forwards.” confides Kamren Alexander. With “Peace. Love & Reality”, Ceasefire hopes the music will inspire listeners to believe in themselves and take action towards acts of love despite being in a world full of divisiveness. Single Gravity chronicles holding on to a dissipating love and vocalizing devotion even in a time of helplessness. With a climatic chorus and an energetic driving drumbeat, Gravity is the perfect summer anthem. On Out of Time, Ceasefire demonstrates what they do so well, create a larger than life alternative hit that is approachable yet still experimental. Ceasefire has shared the stage with such notable acts as Everclear, Daughtry, and LMFAO. Their music has seen numerous placements including being featured on episodes of MTV's “The Hills”, “The City”, “The Real World” and many more. Ceasefire's music has also been used in a nationally run commercial for Lipton Iced Tea and their single "Joyride" will be featured in a highly anticipated upcoming feature film. Ceasefire​'s New "GRAVITY EP" is officially available worldwide as of June 23th, 2017 on all digital platforms.